Your PayGo software works with PrintNode*, the remote and cloud-based web printing software that makes it easy to use and coordinate all your printing needs. And best of all, it’s free to use for PayGo customers! 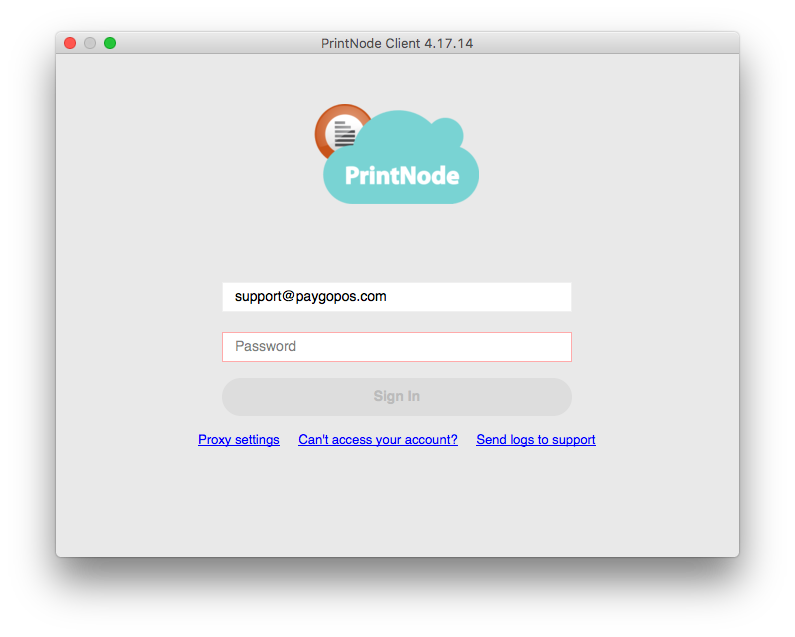 PrintNode will allow you to easily set printers for your all of your full page, label and receipt printing, even for online users. Note: be sure the printers you would like to use for your PayGo printing are installed on your computer before proceeding! To use PrintNode with PayGo, you must download and install it on your computer. For Macintosh computers, download and install this: PrintNode for Mac. The PayGo support team will create your account for PrintNode. They will send you an email with the necessary credentials. If you did not receive this email, please submit a request through the help system. For information on how to submit tickets, see Requesting PayGo Technical Support or click here to go directly to the help system login. Once the PayGo Support team has provided your account, you can log into the PrintNode app you’ve just installed on your computer. To set up PrintNode printers within your PayGo software, you will need the PrintNode ID numbers for the printers you would like to use. To find the printer ID numbers, open the PrintNote Client on your computer. Within your account, select the Printers tab. This will show you a list of all printers installed on your computer. To the left of each printer name, you’ll see an ID number assigned to each printer. These numbers are what you will enter into your PayGo software. When you have accessed your Workstation Setup, click the Settings tab. 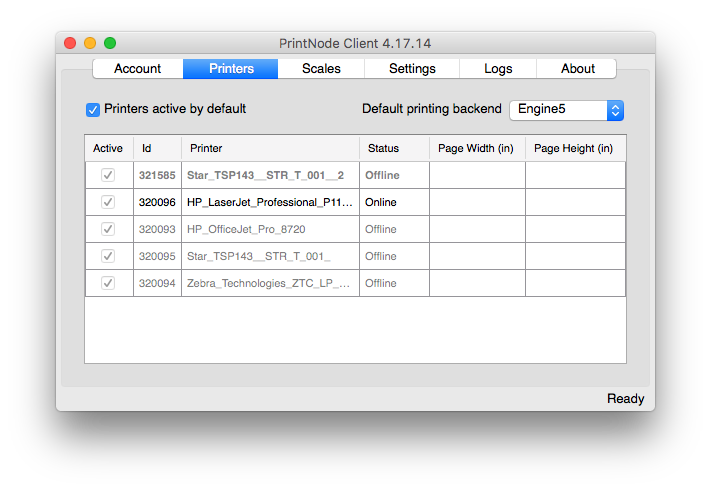 You can also view details for your PrintNode printers by clicking the PrintNode Details button. When clicked, a pop-up window will ask if you’d like to view details on your Full Page, Label or Receipt printers. *PrintNode capability requires PayGo 5.8v3 or higher.